Seller Mrcableguy74 assumes all responsibility for the listing and deleting of this ad. 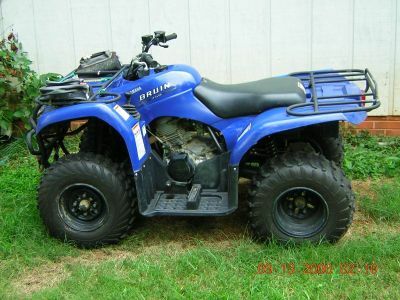 Selling my ATV due to moving and unable to ride it where I live now. Was bought 10 months ago brand new, I have been only owner and ATV only has approximately 25 hours of riding time. No known mechanical problems, oil and filter just recently changed. Metal Skid Plate was added at bottom to protect underwiring.